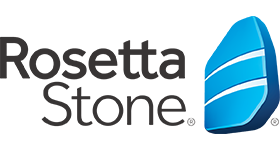 Rosetta Stone is a global language learning and literacy company. It develops interactive software to accelerate language learning and is widely recognized today as the industry leader in providing effective language programs. Spanning 15 teams in eight locations around the world, Rosetta Stone’s software engineering organization needed a better way to manage its scaled agile development. Specifically, engineering teams and product managers needed a better way to communicate progress and forecasts throughout the development cycle; program managers needed a better way to coordinate releases; and stakeholders and senior leadership needed an at-a-glance solution for monitoring products in development. Long-time users of Jira Software, Rosetta Stone added Portfolio for Jira to its Atlassian implementation. “With Portfolio for Jira, we can reflect the real, on-the-ground situation in a manner of minutes,” says Eric Hilfer, vice president of Software Engineering at Rosetta Stone. Portfolio for Jira provides a single, accurate view of work across projects and teams, enabling Rosetta Stone to effectively review, plan, and manage initiatives. Everyone in the organization can remain on the same page across the portfolio: developers, product owners, managers, and executive stakeholders. “Portfolio for Jira gives us focus… It allows us to coordinate team activity, manage resources, get true alignment with the business, and respond to change in real time,” concludes Hilfer.